Summertime can evoke sweet, sentimental memories of time spent outdoors enjoying sunshine and soft breezes. In mid-summer when it’s the most hot and humid in St. Cloud, Florida, it’s comforting to know you have experts nearby in the high quality AC repair St. Cloud needs to keep homes and businesses refreshingly cool and comfortable. After enjoying time outdoors, it’s nice to walk into a soothing and cool room. Outstanding St. Cloud air conditioning repair and service relied on for over two decades, provided by DC / AC Air and Heat, is exactly what you need to get through the dog days of summer. You’ll be impressed with the knowledge and skill of talented, professional air conditioning and heating technicians. Every member of our team prides themselves on delivering the exceptional and affordable AC repair St. Cloud residents and business owners depend on when things get hot. A simple phone call or a few clicks on the DC / AC Air Conditioning and Heating website is all you’ll need to bring one of our talented technicians to your home. 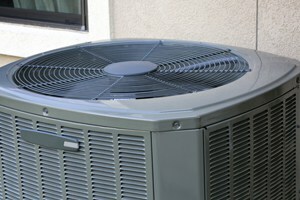 You’ll receive the free AC repair estimate St. Cloud depends on for accuracy and for fair and honest pricing. We believe that the AC repair costs St. Cloud residents and businesses are charged should always be equitable for services received. 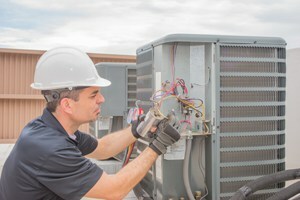 Our technician will evaluate your individual circumstances, come up with a plan of action, and let you know what needs to be done to get your AC back to top-notch working order. You’ll receive an estimate of costs, the time we’ll need to make your repairs, and exactly what parts we will need to replace, if any. Our technician also gives you a thorough explanation of what will be done. Our experts are happy to answer any questions and explain everything so you always know what to expect with no surprises. We go one step further to help make you happier with your experience and to achieve our goal of 100 percent customer satisfaction. Our technician shows up in a fully stocked vehicle exactly when we tell you we’ll be there. Our on-time service, the extra effort we put forth towards satisfaction, and our expert knowledge are just three of the reasons residents and business people call on St. Cloud AC repair specialists, DC / AC Air Conditioning and Heating. Most people breeze through the summer months without too much cause for concern. There are certain people, however, who are strongly affected by excessively warm temperatures. This can include small children, animals and the elderly. Too much heat can lead to events like heat exhaustion and possibly heatstroke. Symptoms can include feeling extremely thirsty, having a headache, lethargy, weakness, and a lack of energy. We know how critical it is to keep these things from happening. We strive to be the AC service St. Cloud relies on to keep the indoor atmosphere safe and healthy. Once your surroundings become hot and humid and it begins to affect your daily activities and even sleep patterns, it’s important to call the expert AC repair St. Cloud depends on for real solutions as soon as possible. With over 25 years of experience and a Better Business Bureau rating of A+, you know you’re getting the quality HVAC help you need. Luckily, AC repair in St. Cloud Florida is as close as your phone or computer. 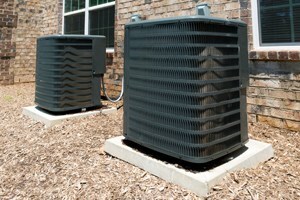 Whether you need residential AC repair St. Cloud FL depends on for excellent results or commercial cooling diagnostics and services, we’re there for you. We know that by delivering exceptional service, you’ll feel comfortable calling on us whenever you need help with your air conditioning or heating needs.